You are currently browsing the archive for the Kitchen category. 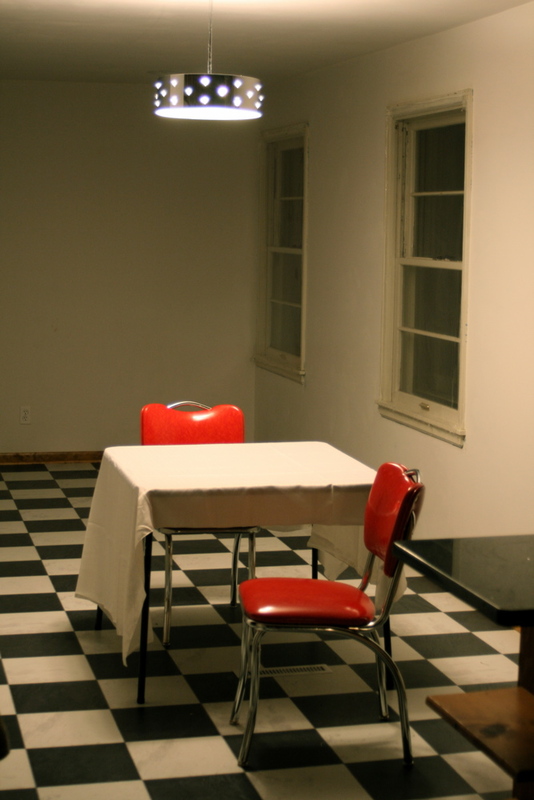 December 19, 2008 in Kitchen, Renovation | Be the first to comment! The contractors worked most of the day today, installing trim and quarter-round. My coveted George Kovacs “Bling Bling” light was hung, and, at that moment, angels sang. 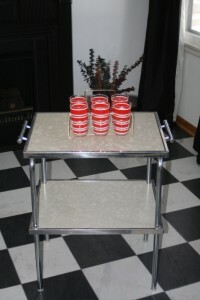 Until the table comes in, we’re using our wobbly card table as a very, very, VERY poor substitute. The K Mart tablecloth (obviously straight out of the bag, hence the wrinkles) almost hides the ugly thing. But the chairs are cool, aren’t they? Next decision: curtains. God help me on this one. 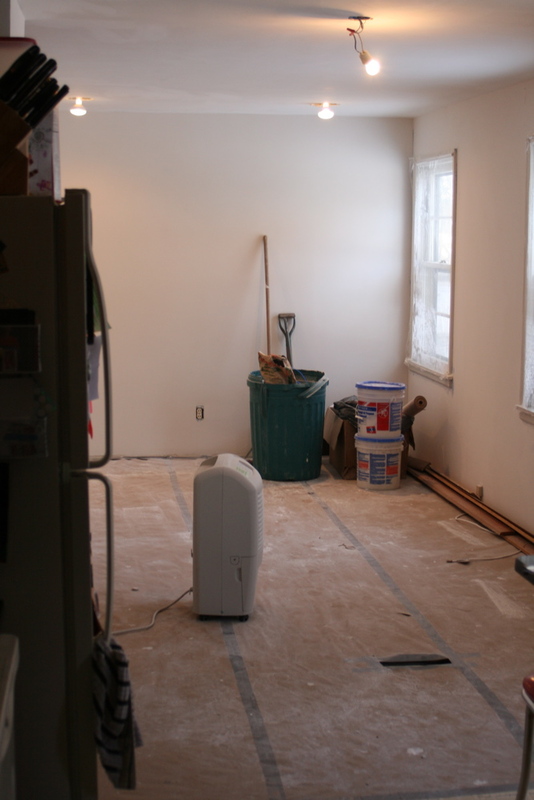 December 13, 2008 in Kitchen, Renovation | Be the first to comment! December 9, 2008 in Flooring, Kitchen, Renovation | Be the first to comment! 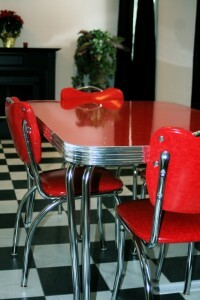 December 4, 2008 in Flooring, Kitchen, Renovation | Be the first to comment!